Back in 2017 the cryptocurrency craze hit the mainstream world. Suddenly, news of people getting rich overnight grabbed everyone’s attention. Naturally, the government didn’t fall on deaf ears and has shown a significant interest in the crypto markets. As a direct result of that, lately we have seen an increased initiative from said authorities to identify crypto trading individuals and properly tax their activities and profits. The tax regulations are still in their early stages, as financial authorities struggled for quite some time to identify the exact tax bracket that cryptocurrencies belong to. Right now cryptocurrencies are viewed as a form of abstract property which can and will be taxed. Tax enforcement is difficult as crypto addresses usually don’t have a names publicly attached to them, so the tax man struggles to realize who should pay the taxes. The IRS reports that about 800 to 900 Americans filed taxes on property “likely related to Bitcoin” in the years 2013, 2014 and 2015. Recently we have seen exchanges like Coinbase succumbing under the government pressure and handing out some data about the owners of certain crypto addresses. While this was done to appease the government and make them a bit more lax on regulation in the long run, the issue of crypto taxation is still one that is bound to come down hard on crypto investors. Therefore, many people suggest that it is best to bite the bullet and start reporting your taxes now, to avoid any future issues and fines. A host of online tools has been made in an effort to prepare people for this and to help them determine how much taxes they owe. Tax calculators are among those tools and this article will share some of the best ones out there. BitcoinTaxes was launched back in 2014 and is currently one of the most popular tax calculation tools for the world of crypto. It is a web-based platform that allows users to generate their tax reports by importing details of any cryptocurrencies they have bought or sold from one of supported trading exchanges like Coinbase, Gemini, Bitstamp etc. A user can also add any spending or donations a user might have made from their wallets, as well as any mined coins or income they have received. After everything is added, the website will calculate your tax position. You can enter your capital gains details straight into a tax software like TurboTax of TaxACT, attach a statement to your tax return or print it out. The software allows you to choose your method of accounting, giving you the choice between LIFO, FIFO, average costing and compare like-kind methods. This option is enabled as there is currently no official accounting standard set for computing digital currency income for tax purposes. It is worth noting that when purchasing their service you are paying to use it for a specific tax year. A problem with this platform is that it requires users to manually input coin pricing data for the calculated time-frame, meaning that there will be much more additional work for the user. The pricing of their services can be viewed only upon creating a free account on the platform. The service is currently available for crypto enthusiasts from US, Canada, Australia, Germany and United Kingdom. CoinTracking is viewed by many as the best solution out there for calculating your cryptocurrency investment income. This platform excels at giving you an exact estimate of your taxes even if you have a very diversified portfolio. It is a web-based platform which allows its users to connect their exchange accounts using CSVs or APIs. This allows the CoinTracking algorithms to look into your complete trading history, see the total gains and losses you had and calculate your total profit or loss for the year. Final results can be exported in Excel, PDF, CSV, XML or JSON formats. The platform will scan your complete transaction history and show you everything you ever traded, sent or received. In my example it revealed a couple of airdropped coins which I didn’t even know were in my exchange wallet. The coin prices (both current and historic ones) are automatically retrieved which spares you from spending time on manually importing them. CoinTracking supports over 5000 digital currencies and around 25 exchanges, making it a valuable asset for anyone who does their crypto trading and holding on multiple platforms. Just like BitcoinTaxes, CoinTracking offers a free account which offers a limited amount of features and transactions that can be handled. Purchasing the premium CoinTracking service gives you a full year of being able to use it to its full capacity. This means that if you purchase the service in April of 2018, you’ll be able to calculate your taxes for 2018 and everything you earn/spend until April of 2019. The full service includes a Capital Gains Report done with FIFO, LIFO, HIFO or LOFO calculation and is fully prepared for accountants and tax office personnel. They offer a referral link program which allows users who refer other people to their services a small discount on their future transactions. Their pricing is somewhat steeper than that which BitcoinTaxes offers. Ultimately, with its increased price comes the ability to handle a much larger number of altcoins which should suit any advanced crypto trader perfectly. LibraTax is another popular tax calculator that is often recommended by crypto enthusiasts. Launched in 2014, the California-based company has just recently expanded into blockchain related services. 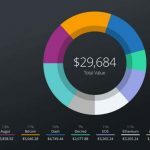 Marketed as “the leading crypto accounting solution for individuals”, the platform tracks your crypto activity, reports taxable events and establishes cost basis for calculating capital gains and losses. The platform automatically synchronizes with wallets from exchanges such as Coinbase, GDAX, BitStamp, BitGo and shows all of your cryptocurrency transactions in a spreadsheet format. Cryptocurrencies like Ethereum, Bitcoin, Bitcoin Cash, Monero, Litecoin, Zcash and Ripple are supported by LibraTax. The platform generates reports on acquisitions, disposals, balances, tax lots and US Tax Form 8949. The basic LibraTax package is completely free, allowing for 500 transactions. The Premium option costs $19, with up to 5,000 transactions and access to the option of a downloadable tax report. Note that the free version provides only totals, rather than individual lines required for the Form 8949. Libra Pro for business costs 49$. Its price is 99$ for accountants. The prices listed cover a full tax year of service. LibraTax is available for free for people who perform up to 10 thousand transactions per year and don’t do margin trading. Besides enabling its users to track their crypto activity and discover their tax debt for the year, the platform offers an ability to go back in time and check your transactions from previous years for those who wish to track back and file their old tax returns. Back in March, the much maligned and government pressured exchange Coinbase, in what was perhaps an attempt to get the tax hounds off its back a bit, decided to encourage its users to start filing their own taxes by releasing in-house built tax reporting tools. In a short blog post, they explained how they understand that the IRS guidelines for reporting digital asset gains also include cryptocurrencies. Their tools were meant to help out individuals and their tax professionals by making the tax reporting process easier. Among those tools is a tax calculator tool. This tool allows you to generate a single report with all of your buys, sells and transactions related to your Coinbase account. Transactions with payment reversals wont be included in the report. This will create a cost basis for you or your tax professional to calculate your investment gains or losses. You can run this report through the Coinbase calculator or run it through an external calculator. The Coinbase points out that there is no actual standard set by the IRS on how to calculate your taxes for digital assets. They recommend one of two most commonly seen approaches: FIFO or SpecID. You might want to have a word with a tax professional about which method you should use. The Coinbase calculator tool uses the FIFO accounting method to provide a preliminary gain/loss calculation on it’s users taxes. 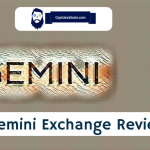 Complete Gemini Exchange Review 2019 - Is Gemini safe? Late read, but loved the post and lists. We are from zenledger.io, an crypto tax calculating software and online tool that helps CPAs import cryptocurrency transactions, calculate gains and income, and auto-fill tax forms.We’re based in Seattle Washington, and have been offering this service since start of March 2018. Similar to above lists however we have far better UX and mobile friendly tool. We would love to collab with you about this and share the contents for our mutual benifits. Would love to get your contact details and work through it Mr. Torsten. The implications for taxes due would be significant, depending upon the choice (either FIFO or LIFO methods) you make. So I would suggest to try LIFO and FIFO calculators to decide which method is better. Here are the links for very easy-to-use handy Excel sheet for calculating the gains (after commissions) in bitcoin (or other cryptocurrency) trading using FIFO and LIFO methods.